iNDUSTRIA and Circus Social combined their data analytics and creative prowess to study and visualize social media buzz prior to the Game of Thrones release in Singapore and Malaysia! For more information on social media insights, contact info@circussocial.com. For more information about Industria’s offerings, contact taavi@industria.my. WHAT’S THE INSTAGRAM API UPDATE ALL ABOUT? Instagram and Facebook have been making several changes to their data streams in recent times in order to administer better user privacy and more supervised control over accounts to ensure their authenticity. The most recent update occurred on the 11th of December 2018. Hence there are several implications on the availability of Instagram data to third-party applications and data providers, such as 20/Twenty, over the course of this year. Read on below to get an overview of what these changes are, what they imply and how you can continue to still make the most out of Instagram data with 20/Twenty! Apart from cracking down on fake accounts and making their interface more user focused over the past month, Instagram has continued to keep on track with it’s planned API depreciation (discontinuation of Instagram data available for tracking for apps and data providers via its application interface). All these changes are so that users can have better control over their data and securing their privacy. WHAT DOES THIS MEAN FOR YOU & HOW CAN YOU MAKE THE MOST OF THESE CHANGES ON 20/TWENTY? Circus Social understands how paramount it is to still be up to date with your campaign, brands, and competition, as well as be able to get to the metrics that matter the most to you. We have hence rolled out a few measures that require our clients to provide authentication via 20/Twenty at the earliest and make the most of these new changes. Current Instagram data access is restricted to allowing data access only via Business Accounts and for a limited number of 30 hashtags per unique account. In order for you to continue to get access to Instagram data and view rich insights on our platform, you will be required to provide authentication on 20/Twenty. Why does this need authentication and what does it mean? In order for data providers like 20/Twenty to continue collecting data from Instagram, 20/Twenty users need to provide verification that they allow 20/Twenty to collect data on behalf of your account for the data that matters most to you. You will need to ensure that you are an Admin of a Facebook page and an Instagram Business page that are linked together to proceed with the authentication. 20/Twenty will allow for you to get full coverage of the 30 hashtags from public accounts as per Instagram’s guidelines. Please note that all authorizations shared do not involve the storing and accessing of any personal information or data. The more Business Accounts you provide authentication with, the more Instagram data you can access. With the updated API rules, each unique Instagram Business Account that you provide authorization for, is limited to 30 hashtags for tracking. This is a limit that Instagram has shared to enable a more controlled data-sharing environment. It poses a few limitations, but also opportunities for brands and Business users to focus on what data truly matters the most. *However, you can easily change these hashtags every week to ensure you are tracking more at intervals and are not only restricted to a fixed 30 hashtag limit. To further expand this 30 hashtag list, do authenticate with other unique Business Account pages to get access to more data. All in all, Circus Social is all geared to help you make the best of these Instagram updates and stay ahead in all your social tracking needs. Have questions or want to learn more? Simply get in touch with us HERE or write to us at info@circussocial.com. You can also contact your Account Manager for a speedy response. My name is Durga and I have been working at Circus Social for about 4 months now as an Analyst in the Bangalore office. Prior to Circus Social, I worked as a Social Media Analyst at NTT DATA Services (formerly DELL Services). Circus Social is growing quickly and has many interesting clients across automotive, insurance, government, financial services and other industries. As an Analyst in the research and social listening team, I conduct research and help uncover insights. This valuable, actionable information is presented in the form of social listening reports for our clients. It is an open working environment, where employee suggestions and ideas are always welcome. So far, it has been a great opportunity to apply my knowledge and improve my skills. Circus Socials’ social listening tool 20/Twenty is powered by the latest technology and tracks multiple social media and news metrics. 20/Twenty’s powerful data capabilities, combined with a simple user interface helps marketers solve complex business problems. We have a lot of fun in the Circus Social office and celebrate milestones and special occasions including birthdays. As I was new to Bangalore a few months ago when I joined, the Circus Social team helped me settle in, find a place to stay – and even shared their favourite food spots! Over the course of the first few weeks, I was taken through various induction programmes, introduced to the team and familiarised with processes. Some of the Circus Social’s lady penguins! It has been a great experience working with Circus Social so far and I can’t wait to see what the future holds! Social listening is the process of monitoring social media channels for mentions of your brand, products, competitors and categories. Learn how following Social Listening Best Practices can help power your digital marketing strategy. How do leading brands incorporate social listening to create successful digital campaigns? To leverage the power of social listening, it is imperative to understand the business and marketing objectives of the company. This ensures that the relevant topics are being tracked and social listening objectives are aligned to those of the broader business. 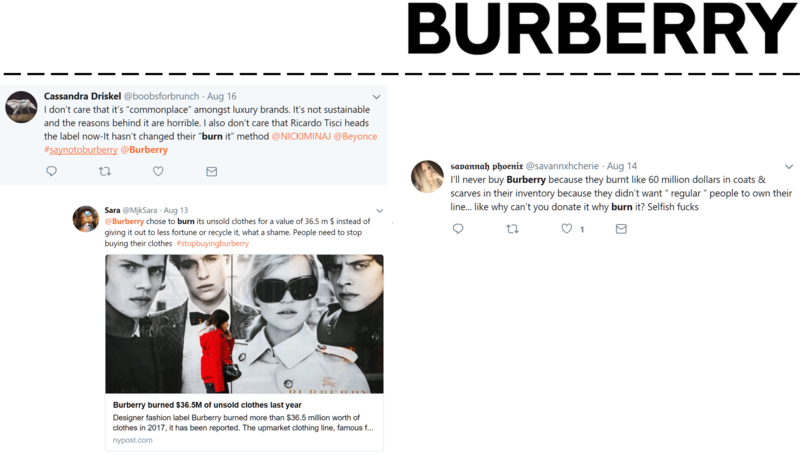 Is the sentiment towards the brand positive, negative or neutral? Are campaigns having the desired impact? Is their messaging resonating with the target audience? Real-time monitoring provides an early warning system and helps companies manage crisis situations swiftly and decisively. Identifying detractor posts and responding quickly affords the maximum amount of time needed to implement contingency plans and ensures minimal damage to the brand. Successful brands don’t just listen during campaigns – they listen during the ‘quieter’ periods too. Social Listening helps brands learn what their competitors are doing and what people are saying about them online. This real-time intelligence allows companies to understand their own weaknesses, leverage competitor weaknesses and identify opportunities for growth. Testing campaign effectiveness and adjusting campaigns accordingly to maximise performance. How can Circus Social help? As leaders in the digital intelligence space, we empower brands with real-time insights through our social & news monitoring platform, 20/Twenty.